Turkey, Turkey Cranberry, Sicilian Turkey, Herbed Chicken & Sun-dried Tomato Basil. 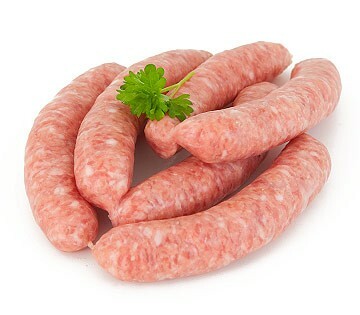 Traditional UK sausages, made fresh in-house. Over 30 varieties including Cumberland, English Breakfast, Epping, Mild Italian, Lincolnshire, Pork & Apple, Pork & Maple…and many more.